Many of you know I swear by the Ardere Cosmetics Brow Fibre and Flawless Concealer. And I am so happy to review their latest addition to their portfolio. The Natural to Night Palette*. 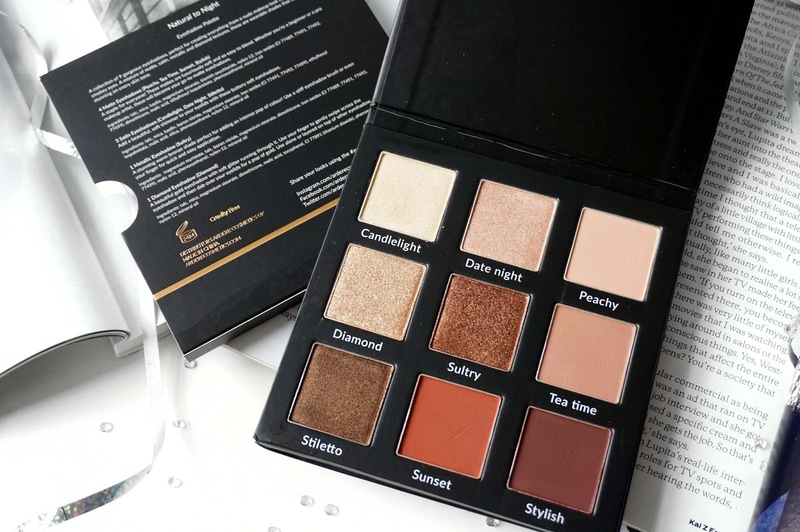 This palette contains 9 eyeshadows suitable for day to night wear with a mixture 4 different formulas, matte, satin, metallic and diamond. The palette comes with a sleeve with their logo printed in gold foil. On the back of the sleeve, it states all the different formulas and instructions on how to use the shadows. The overall packaging a simple matte black cardboard much like their Flawless Highlight palette and has a magnetic closure. The shadows are in square pan with their name printed underneath which I find really handy. Getting into the shadows, there are four formulas; matte, satin, metallic and diamond. The four matte shades are Peachy, Tea Time, Sunset and Stylish. Peachy is a light peach shade which is perfect as a transitional colour. Tea Time is a light caramel brown with hints of orange another beautiful transitional colour. Sunset is a burnt orange/red colour for all those warm tone lovers like me and Stylish is a dark brown with hints of plum. 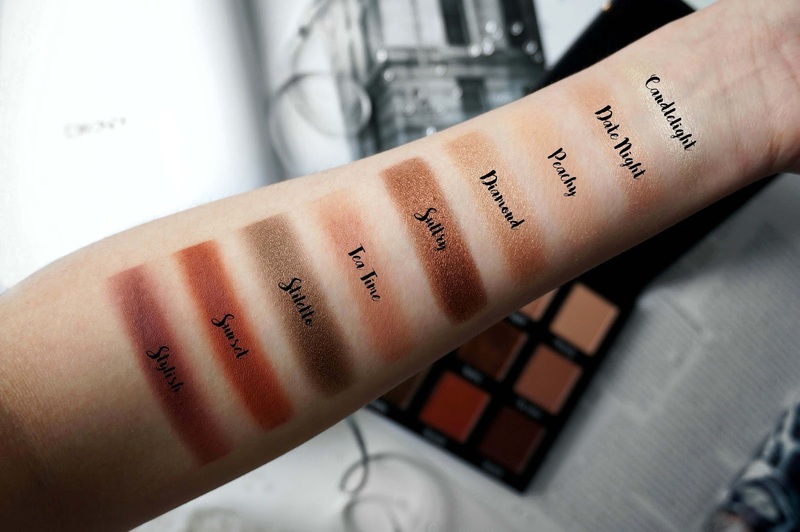 All the matte shades have the same smooth buttery consistency, there is a little kick up when I dip my brush into the shadows which are expected for softer eyeshadow but no fall out when I apply these to my eyes. They blend so well together and are the perfect matte shadows for everyone. My most used shades are Peachy and Tea Time which I use together. The three satin eyeshadow are Candlelight, Date Night and Stiletto. Candlelight is a light yellow gold perfect for highlight, Date Night is a champagne gold shimmer and Stiletto is a deep bronze brown. 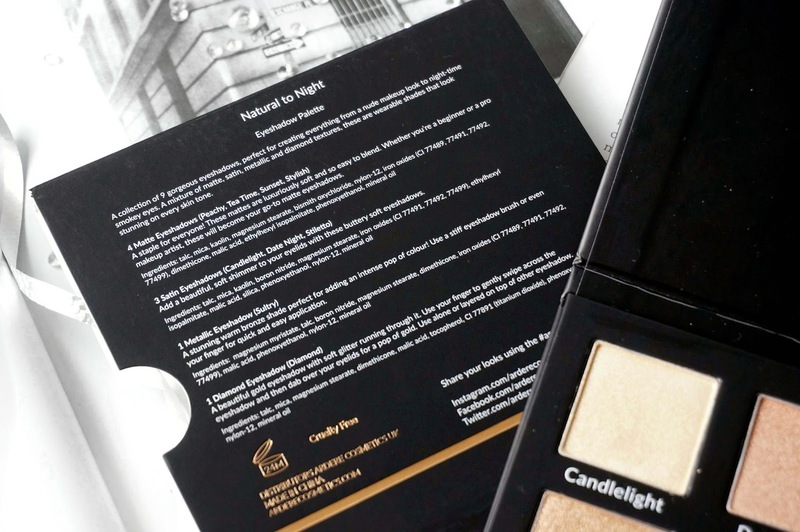 I use Candlelight and Date Night together for inner corner highlight and Stiletto during the night. It is the most beautiful bronze brown shade, it blends and feels like a dream. The diamond eyeshadow is called diamond (as the name says), which is a yellow gold with hints of gold shimmer, this is an eyeshadow topper and looks beautiful as a pop of colour. If I were to create a halo eye I apply this on top of Sultry and it gives that extra dimension. Again diamond is really easy to apply and blend. Overall I have loved this palette from when I first received it. The colours are perfect for me and have everything I possibly need. I love the simple slim packaging but I do leave fingerprints all over (think of nars packaging). The only thing lacking is a mirror but it would have made the palette bulkier and expensive. 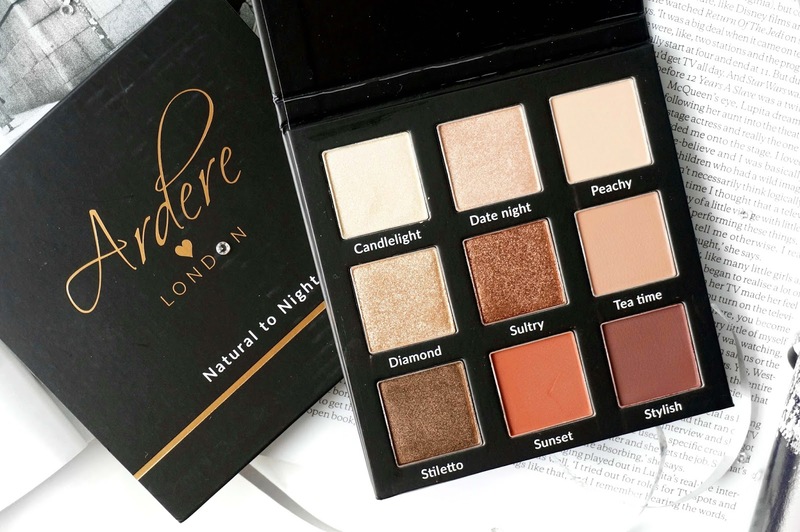 The palette costs £18 which works out as £2 an eyeshadow, so this is very affordable and for the quality and pigmentation, you can't go wrong. The eyeshadows are all pigmented and buttery soft. They blend like a dream so even if you are a beginner you would find these easy to use. I adore the shadow placement in the palette since I like my colours to go from light to dark. And I'm thinking of taking this on holiday with me as it has everything I need and is compact enough. I love eyeshadow palettes since it gives me lots of options and I have not stopped using this since. Amena and Paula have done very well on their first eyeshadow palette and I can't wait for what's next to come. I feature most of my looks on Instagram so don't forget to follow me on there to see how I wear these shadows. I hope you enjoyed this review and found it helpful! * I was kindly sent this by Ardere Cosmetics but all opinions are 100% my own! Your swatches are fab! The shades are so pretty and great for day and evening wear. Oh my goodness, the colours are so beautiful! I hadn't heard of this brand before, will definitely check them out! 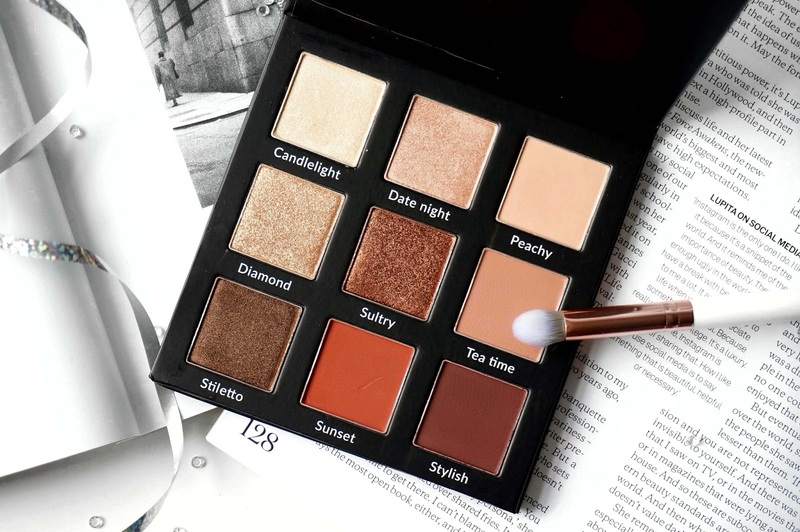 This is such a beautiful palette! That burnt orange...yum!